Valentine’s Day is right around the corner and I am always the person shopping through the scraps that are left in the aisles because I remember LAST MINUTE to get through my list. Well, not this year. I took care of the children, teachers, classmates, and my husband – all with one quick trip to Walmart. If you are looking for Valentine’s Day gift ideas for anyone, you’ve come to the right place. 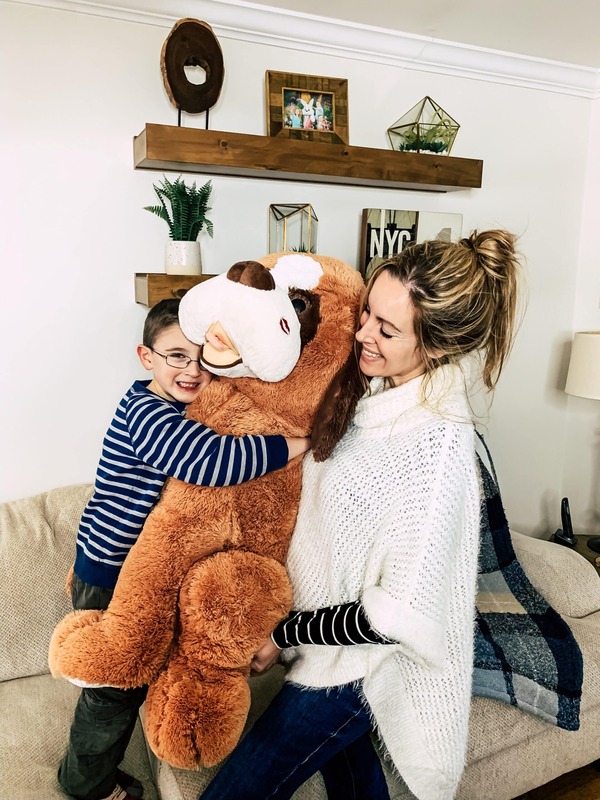 Whether you are looking for sweet treats, Valentine’s Day cards, adorable baskets, home decor, or anything in between, hopefully, this gift guide will inspire you to start thinking about how you want to surprise those that you love. I am someone who loves to find unique ideas already premade. Am I the only one? 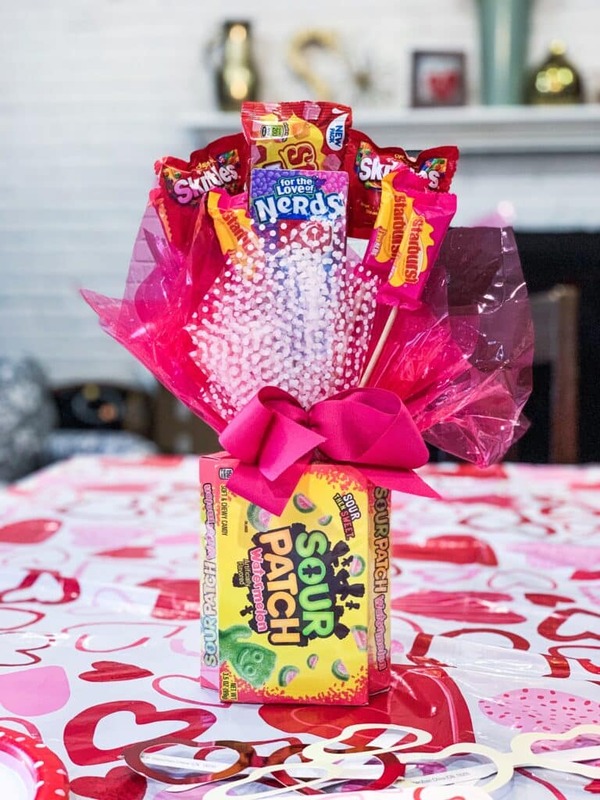 I love the idea of a candy bouquet. I just know that my children are going to get such a kick out of this idea. It is such a showstopper. All of their favorites promptly displayed just like flowers in a bouquet. How sweet! Literally!! 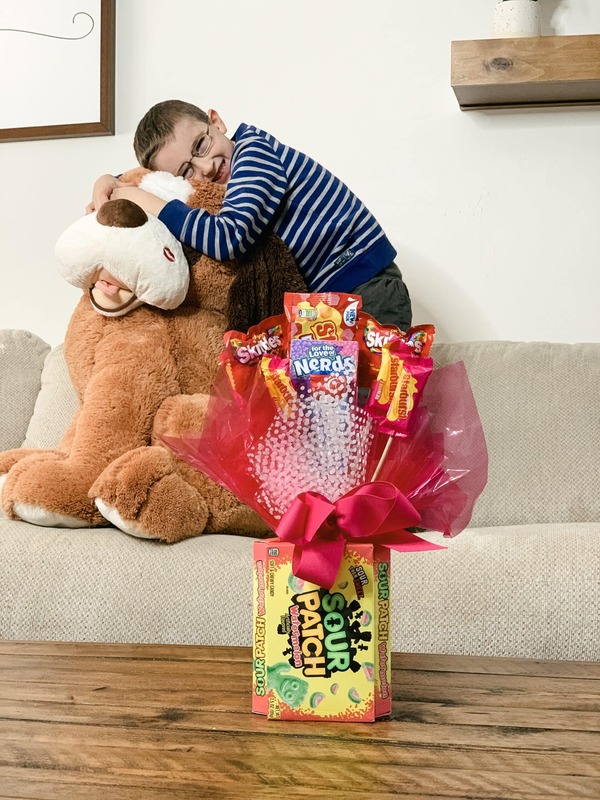 These Walmart-exclusive candy bouquets come in a variety of flavors and designs. Be sure to check out all of the options. This is the BIG showstopper. I mean the B-I-G showstopper! How about a giant, plush teddy bear made for a warm snuggle fest? 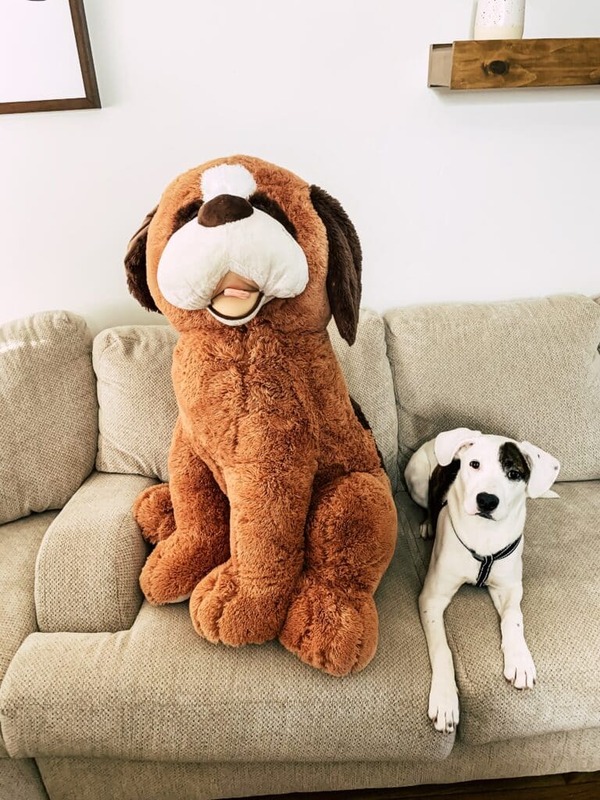 You can opt for one that is 6-feet tall or you can get one that is a tad bit smaller like the one I chose. Either way, they are SUPER FUN and the kids will LOVE IT TO PIECES! If you want a doll that can move, Walmart has you covered. There are a number of dancing stuffed animals including the Llama Love. Press his buttons, and he’ll get down to “Going Down for Real”. 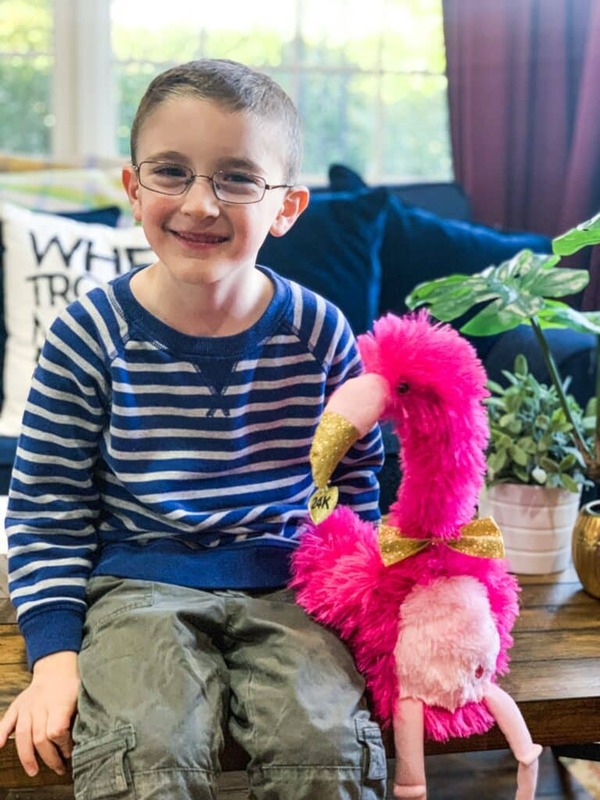 We opted for this hot pink flamingo who dances and sings. I know exactly where I am going to perch him, too! I still have a little one that likes to make cards for his classmates. 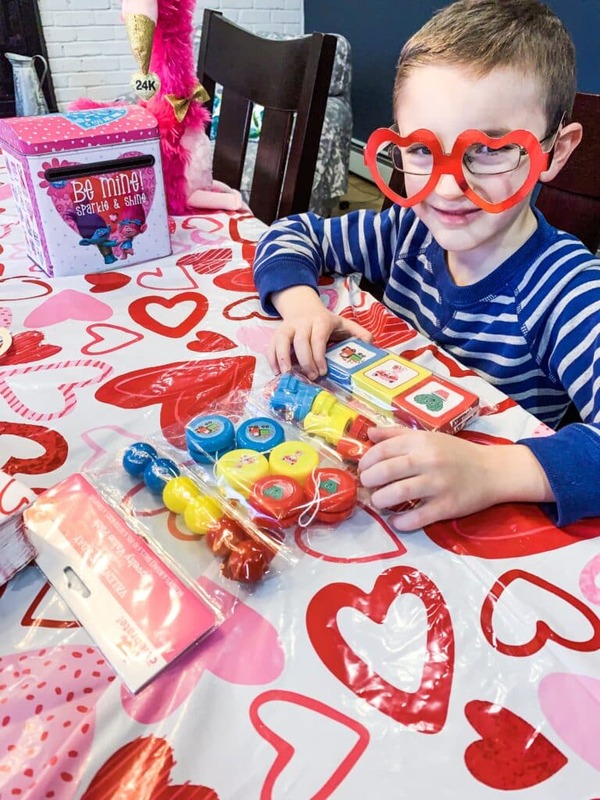 There were so many different Valentine’s Day cardmaking sets and kits to leaf through in the Walmart aisles, that I couldn’t just choose one. 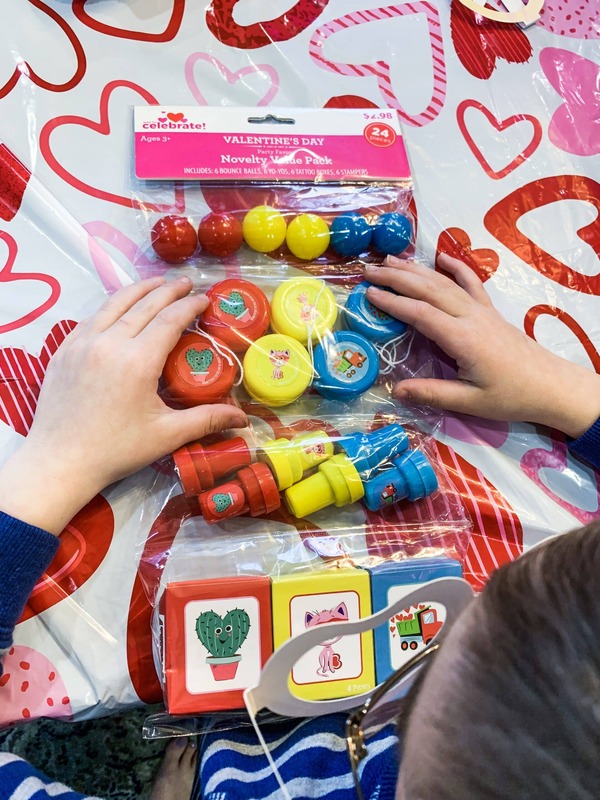 We are going to have so much fun with stamps and stickers and tattoos and balloons. One big party and we can’t wait! A ton of characters on hand as well. 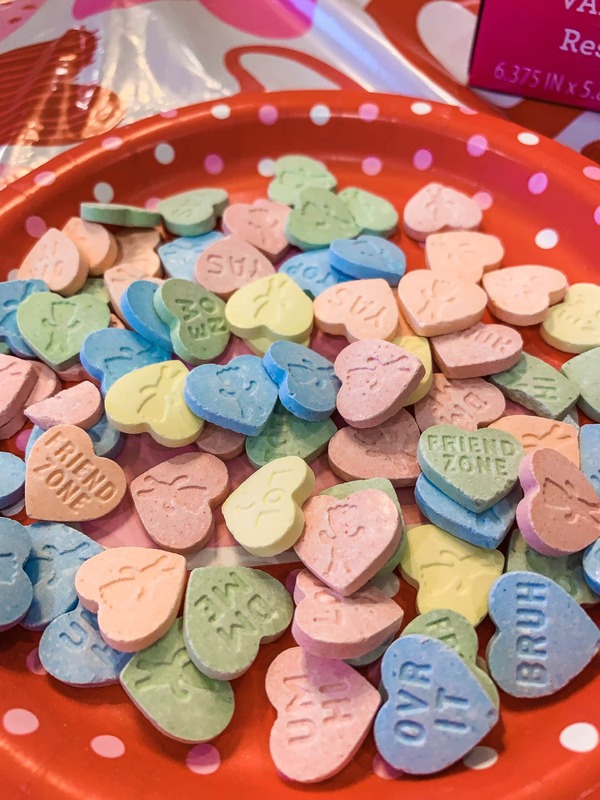 How about a few Sour Patch Kids Conversation Hearts to add to the mix? You know, for when you don’t have the right words to say. 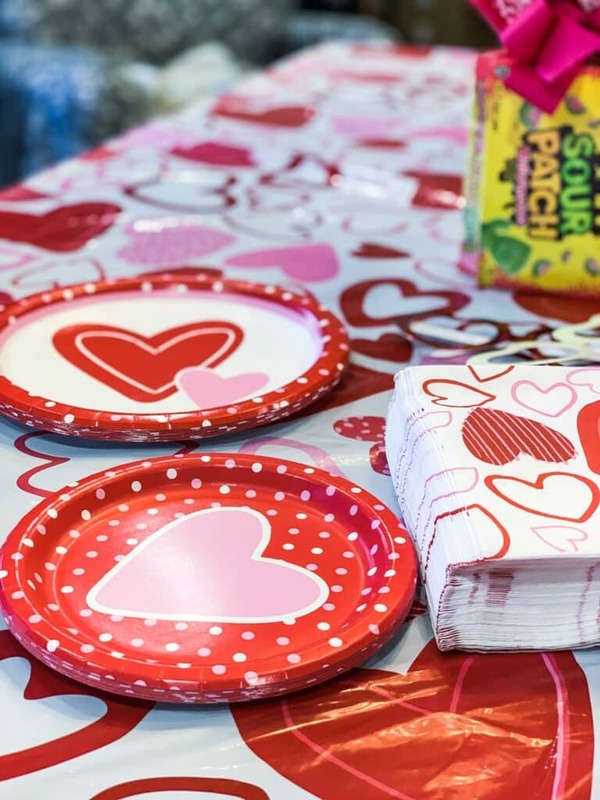 Fill a heart themed bag with these gooey favorites and let them do the talking. A simple treat for classmates and friends. 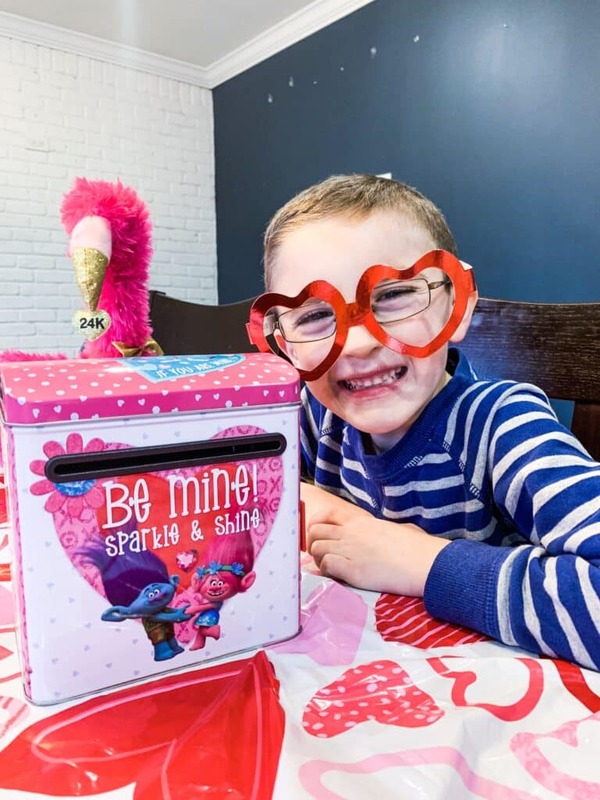 Mailboxes are a creative way for your children to store the Valentine’s that they receive from kids in school. What a great way to store their memories – in one confined and already decorated location. It’s all about things having a place, right? 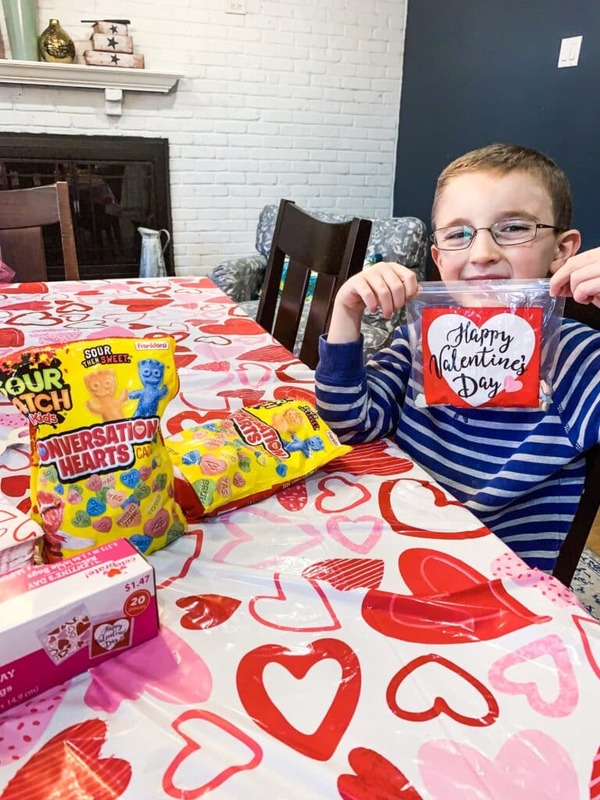 Well, now all of Caleb’s Valentine’s notes do! A little bit of home decor goes a long way. I really don’t go overboard when it comes to holiday decoration. A new sign here or there can really add some holiday flair to a space and we truly do love to add those personal touches to the rooms that we spend the most time in as a family. 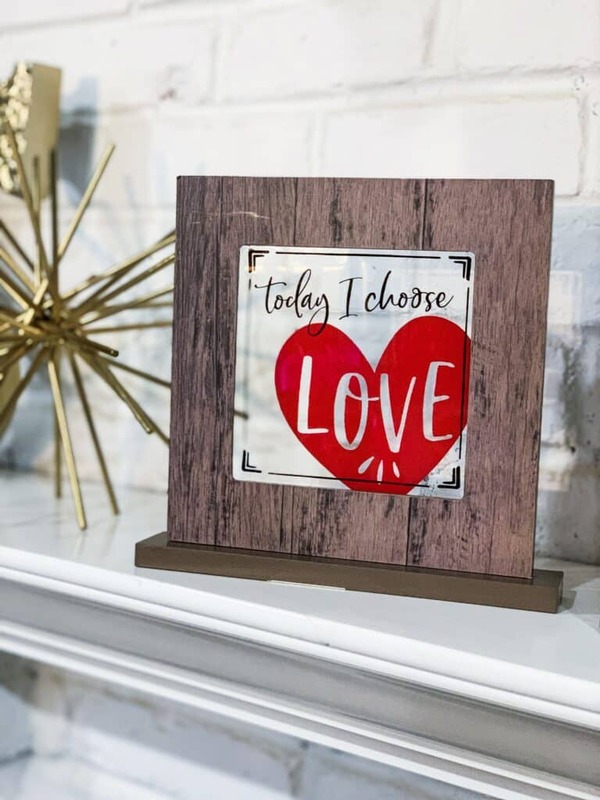 Look for sweet signs to display in your living room or dining and get in the spirit of love. Stay ahead of your Valentine’s Day shopping by making a stop at Walmart to a gift for that special someone. Whether it’s for your spouse, child, parent, teacher or pet, Walmart has the gift that will have them falling head over heels. 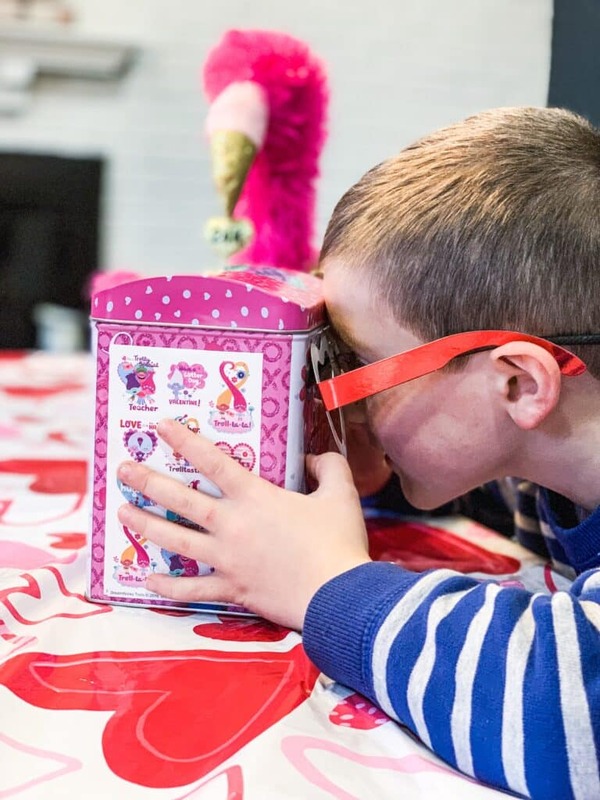 What do you think about these Valentine’s Day gifts for anyone? Any of these spark your interest? Would love to hear!